The level given for nitrogen and phosphorus are the maximum application rates allowed according to the nitrates directive. Sweetgrass: 23% Nitrogen (N) + 2% Sulphur (S) + 1.2% Magnesium (Mg) + 5% Sodium (Na). This product is especially formulated with the grass farmer in mind. The Sulphur and Magnesium will help to increase grass protein while the Sodium will encourage cows to have higher dry matter intakes, making it an excellent quality silage option. 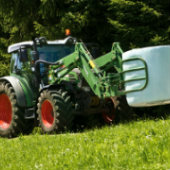 Replenish: 18 – 2.5 – 14 + 2% Sulphur (S) + Copper (Cu), Manganese (Mn), Magnesium (Mg) and Zinc (Zn).This product combines low P and high K, Sulphur and essential trace elements ideal for top quality silage.